Enjoy your retirement to the fullest with a great trip. Take your medical alert device with you for security. 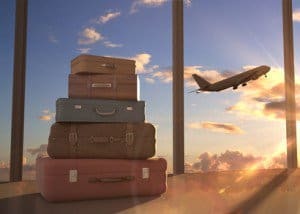 Once you have retired, you can ideally start planning to do some fun things that you didn’t have time for previously, and one of those things is travel. You often hear an individual say, “You shouldn’t bother traveling overseas unless you can spend at least 2 or more weeks there.” If a trip like that has been on your to-do list, now is the time to plan it. Antarctica– One vacation option in the world’s southernmost continent is to take a 37 day cruise along the eastern coastline. India– It is possible to take a 15-day air-conditioned train ride which will take you to Mumbai, Jaipur, Varanasi, Delhi, and more. Maldives– Consider commissioning a 65 foot private motorized yacht to help you explore the literally thousands of islands in the Indian Ocean. Mexico– This country provides many opportunities to commune with nature, from whale watching off the Baja Peninsula, to snorkeling with the marine life in the Sea of Cortes. Peru– A 14 day itinerary will take you through the Amazon and Incan Trails, including a four day excursion in the Sacred Valley in Peru. Russia– Take a 10 day trip leading from the Kremlin in Moscow to the Winter Palace in St. Petersburg. With the right timing, you can even attend the Hermitage Ball held each year on the summer solstice. Spain– In 15 days, you can study art in Madrid, learn flamenco in Seville, eat extraordinary local cuisine in Rondo, taste sherry in Jerez, and more. Uganda– If you are interested in using the extra hours in your day to give back, consider traveling with Habitat for Humanity to Uganda, one of the world’s least developed nations, to assist in setting up remote villages. Before you embark on your trip, it is highly recommended that you visit your physician for a check-up. Make sure your vaccinations, such as flu, tetanus, and pneumonia shots, are up to date. Inquire with your doctor as to whether here are any vaccinations that are recommended or required for the place you will be visiting. Additionally, ask your doctor for a written and signed note describing all of the prescription medications with which you will be traveling, and make sure you have prescriptions for those medications which will last you through the duration of your trip. It is also recommended that you purchase a medical alert bracelet containing your pertinent medical information to wear while on vacation.